Help teach children about the geography of the United States with this fun and interactive wall map. 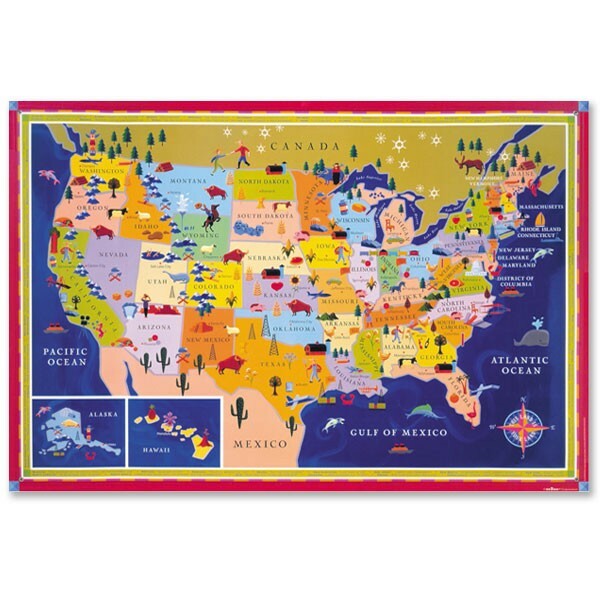 This beautiful and easy to read map comes with stickers for children to personalize cities and states where friends and relatives live. It's 35 by 25 inches with over 150 illustrations of industry, landmarks, and wildlife, and it's laminated one both sides so it's sturdy enough to hold up to almost anything!